February 7, 2019 10:42 am. 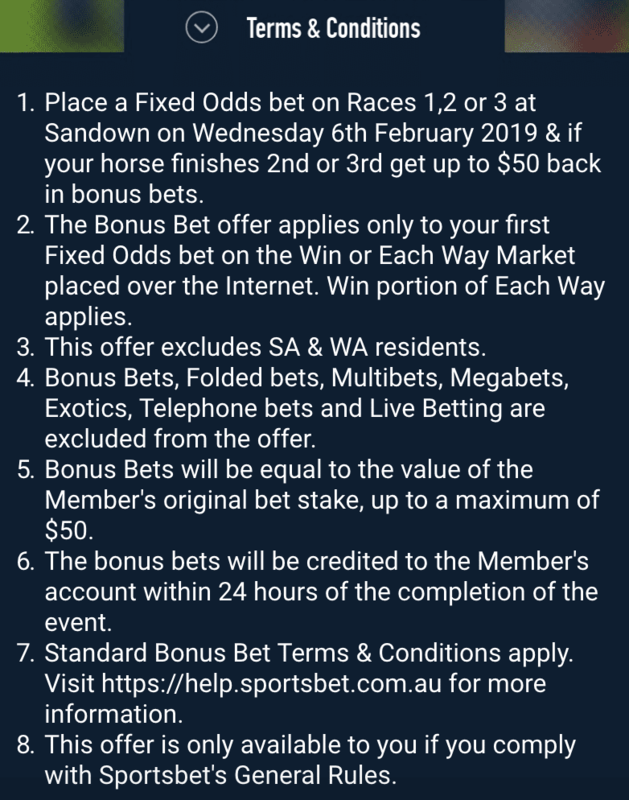 Another Thursday, another big opportunity for punters to maximise their profits and take advantage of bonus bets at Sportsbet. The Thursday evening meeting at the iconic Victorian country track kicks off at 6pm AEDT and offers a number of quality betting markets. 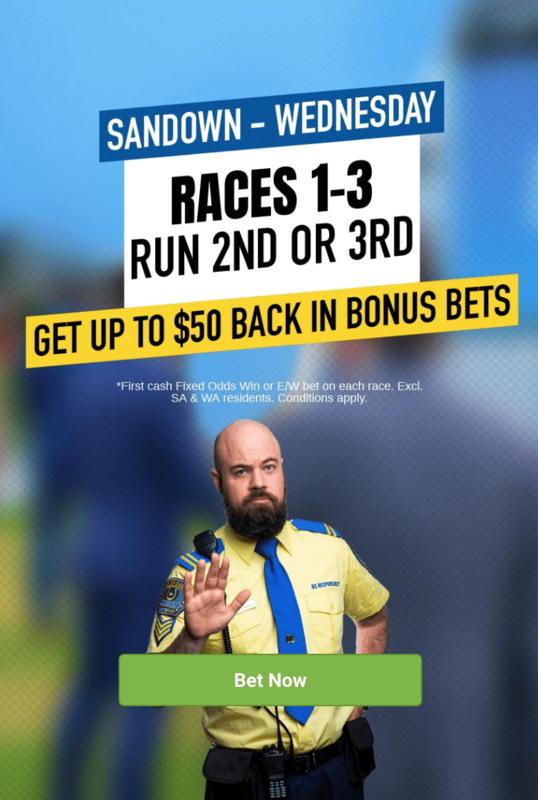 Thanks to our friends at Sportsbet, we can offer a great special in the first three races to get the eight race card off to the right note. 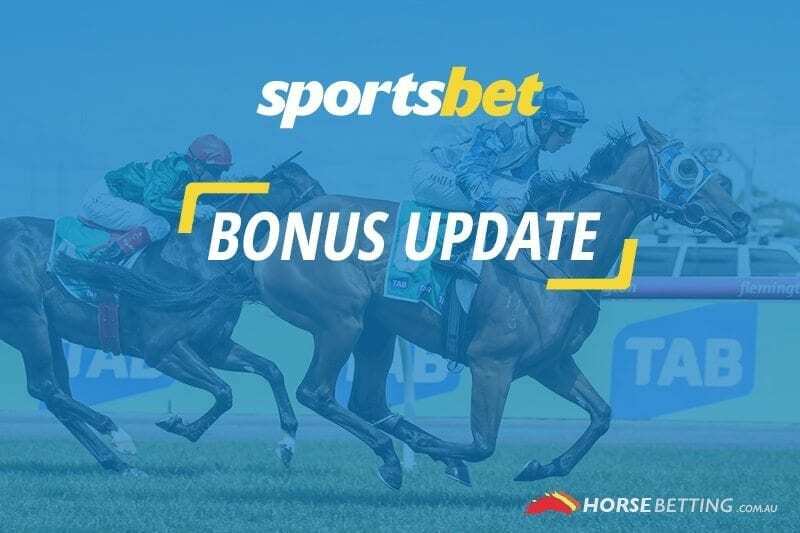 If you back a fixed odds winner at Pakenham with Sportsbet in any of the first three races and that runner finishes second or third, you’ll get up to $50 back in bonus bets. This deal excludes residents in South Australia and Western Australia due to state law. Please read all of the terms and conditions below and gamble responsibly.